May a Louisiana Lawyer Use a Document-Gathering Firm to Obtain Documents Through Subpoenas and Voluntary Authorizations? Yes. Some have contended that Louisiana statutes and procedural rules prohibit a third-party document-gathering firm, such as Compex Legal Services, Inc., from providing this service. They contend that such a service provider–a purported third-party and non-lawyer to ongoing litigation–cannot lawfully gather records and request subpoenas because the service provider is not a “party” or an “attorney” to the litigation. The statutes cited in support of this contention include, for example, Louisiana Revised Statutes section 40:1299.96, which provides that only “a patient or his legal representative,” or “defense counsel or a defendant” have the right to obtain medical records, see La. Rev. Stat. § 40:1299.96, and Louisiana Revised Statutes section 13:3734, which permits the disclosure of privileged communications only to a patient and the patient’s “representative” (defined to include an “attorney or other legal agent of the patient.”), see id. § 13:3734(A)(4); see also id. § 13:3715.1; La. Code Civ. P. art. 1442 (permitting only a “party” to take depositions). These contentions border on frivolous. They also appear to be an effort to continue “business as usual” and to drive up the costs of providing legal services in Louisiana. In my view, if a document-gathering service is a duly-appointed agent of either (1) a “patient” or “party” to litigation, or (2) a lawyer of the patient or party, it is authorized by Louisiana law to obtain records relevant to litigation. Such a service provider simply serves as a mandatary to the principal (the lawyer, client and/or patient) in obtaining the documents. See La. Civ. Code art. 2989 (mandate defined). The law does not require that a contract of mandate be in any particular form. See id. art. 2993. Once appointed as a mandatary, a service provider may perform all acts that are incidental to or necessary for the performance of the mandate. See id. art. 2995. Of course, however, a lawyer engaging such a mandatary must assure compliance with the lawyer’s obligations under other laws. See, e.g., La. Code Civ. P. art. 1465.1; La. Rev. Stat. § 13:3715.1 (requiring the sharing of information and records with plaintiff’s counsel). One Louisiana decision confirms the applicability of basic mandate principles to the gathering of medical records. The Louisiana Second Circuit Court of Appeal in In re Gould, 852 So. 2d 1123 (La. Ct. App. 2d Cir. 2003), squarely held that a person to whom a patient “had granted an extensive power of attorney” was authorized to request medical records under Louisiana Revised Statutes § 40:1299.96. This case simply confirms that a mandatary–and not just the “patient,” “defendant” or “defense counsel”–is authorized to obtain medical records. It would lead to absurd (and expensive) results if Louisiana law were construed to require that only a “patient,” “defendant” or “defense counsel” can lawfully collect medical records. For example, such a construction would require a lawyer–and not the lawyer’s clerical staff, paralegals and investigators–to gather records. Lawyers do not gather records; their authorized agents do. 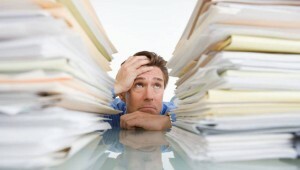 A document-gathering company is just another authorized agent of a lawyer. It should be permitted to gather documents for a lawyer. Of course.